Vayechi – The Architect signed his work. The Architect signed his work.
" וַיִּקְרָא יַעֲקֹב, אֶל-בָּנָיו; וַיֹּאמֶר, הֵאָסְפוּ וְאַגִּידָה לָכֶם, אֵת אֲשֶׁר-יִקְרָא אֶתְכֶם, בְּאַחֲרִית הַיָּמִים "
Vayechi is the last parasha in Genesis "בְּרֵאשִׁית " and as such, completes the level of the whole book, Keter "כתר ". Keter is the point above the head where the original thought comes in to our mind. All our actions precede a thought. We do not control the original thought. It comes to us from the spiritual realm, enters the brain (right and left) and gets processed before action is taken. Vayechi is called "parasha stumah" "פרשה־סתומה ", meaning closed parasha. This term is used when the end of the previous parasha and the start of the next parasha are on the same line with no space. The Torah is such an amazing code and tool that we cannot even grasp its awesomeness. Like Rabbi Akiva and Rabbi Shimon said that every letter in the Torah is holy and in it s perfect place. Rabbi Akiva adds that he can give "mountains" of lectures on every letter in it. The rules of writing the Torah preserved this tool\’s integrity without corruption for the last 3320 years. Vayechi is a closed parasha in order to connect the light from the whole book of Genesis into it. When we listen to the parasha, we have the opportunity to connect to the light of Keter, to the thought and purpose of the whole creation. On the individual level you can meditate to connect to your own purpose in life and ask for the right thoughts to come to you and guide you in your life. The book of Genesis starts with the special letter "ב " (Bet) at the top of the first column and in this parasha we find the letter "י " at the top of the column (Genesis 49:8). The two special letter sums up to 12 to bring the power of Jacob\’s blessing to his 12 sons. Since Keter represents the original thought of creation then the end is already included in it. The Architect knows how the building will look like before he draws the first line on the drawing board. The architect of our universe put the whole creation in Genesis, from beginning to end. This is why Rabbi Shimon wrote the 70 "Tikunim", explanations, to the first word of the Torah, "בְּרֵאשִׁית ", which is the beginning of all beginnings. Vayechi completes the first book and seals the thought of creation. 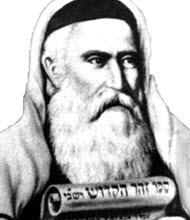 Jacob (Tiferet), before he died, made a connection with Joseph (Yesod), so that the flow of the light of the central column would continue through Joseph (Yesod) to Malchut. This was done at the beginning of the parasha when Jacob asked Joseph to put his hand under his thigh and made him swear. "שבועה " in Hebrew is from the root word, seven "שבע ". This act connects the upper six sefirot to the seventh, Malchut. That is why the sages say that if a person swears and does not follow his commitment, it is like destroying worlds. And Jacob called unto his sons, and said: \’Gather yourselves together, that I may tell you which shall happened to you in the end of days. We see that Jacob actually brought them together to tell them what would happen in the end of days. As we mentioned earlier, Keter holds everything in it, the beginning and the end. Jacob saw the future and he channeled the proper energy to his sons through the different blessings. Special attention to the two verses 48:16 "הַמַּלְאָךְ הַגֹּאֵל אֹתִי מִכָּל-רָע, יְבָרֵךְ אֶת-הַנְּעָרִים , וְיִקָּרֵא בָהֶם שְׁמִי, וְשֵׁם אֲבֹתַי אַבְרָהָם וְיִצְחָק; וְיִדְגּוּ לָרֹב, בְּקֶרֶב הָאָרֶץ ." "the angel who has redeemed me from all evil, bless the lads; and let my name be named in them, and the name of my fathers Abraham and Isaac; and let them grow into a multitude in the midst of the earth.\’". Jacob connects his own angels to the children of Joseph and to all of us. This blessing is used on Friday nights for fathers to bless their children (with the energy of Shabbat, of completion). The other special verse is in 49:22 "בֵּן פֹּרָת יוֹסֵף, בֵּן פֹּרָת עֲלֵי-עָיִן; בָּנוֹת, צָעֲדָה עֲלֵי-שׁוּר . ", "Joseph is a fruitful vine, a fruitful vine by a fountain; its branches run over the wall." This gives the protection from all evil eyes. All the blessings are important, for financial and spiritual growth. The number of verses in this parasha is 85 and it is equal to "פה ", mouth, to strengthen the power of Jacob\’s blessings to his sons and to all of us. At the end of the Parasha, Joseph asks his brothers to swear to him that when G-d will redeem them they will take its bones (also essence) with them. "וַיַּשְׁבַּע יוֹסֵף, אֶת-בְּנֵי יִשְׂרָאֵל לֵאמֹר: פָּקֹד יִפְקֹד אֱלֹהִים אֶתְכֶם, וְהַעֲלִתֶם אֶת-עַצְמֹתַי מִזֶּה ." "And Joseph took an oath of the children of Israel, saying: \’God will surely remember you, and you shall carry up my bones from hence." Let us pray that the final redemption will be Today, Amen. I’m speechless. It’s all so BEAUTIFUL and touched me deep inside.